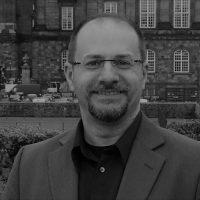 Jeff W. Justice recently completed work toward an MSc in Environment, Culture and Society at the University of Edinburgh. He holds a Ph.D in political science from Texas Tech University and has taught on European and American government. His current research focuses on cultural and institutional factors impacting environmental ethics and politics as well as applications of environmental theory to preserving aspects of culture, including language. In the wake of Hurricane Irma and others, this Foucauldian concept opens the door on a new way of seeing climate change and responsibility. Recent extreme weather events in the US can teach Europe valuable lessons about how to prepare for similar situations.